If you plan to have her spend the night and would like to make a lasting impression, you’re going to want to make her breakfast the next morning. Here is a nice twist to an old favorite, and she is going to love it! Keep in mind that zucchini bread can be found at most grocery store bakeries. Pour the cream into a bowl and Whisk along with the eggs, vanilla extract and confectioners’ sugar until blended. Pour into a baking dish, add zucchini bread, and let soak. In a medium saucepan, combine the stick of the butter with maple syrup, bourbon, and salt, and simmer for 5 minutes. Set aside; this will be the sauce for the top of the french bread. At this point turn the zucchini bread over to soak the other side for an additional 5 minutes. Warm up a frying pan with a little butter. Drain the zucchini bread. Add the slices to the pan and cook until golden brown on both sides. 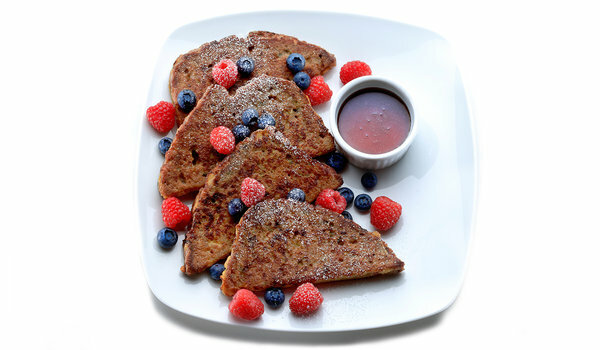 Arrange the French toast onto a plate, top with a scoop of ice cream or berries (optional), and drizzle with hot maple-bourbon butter. 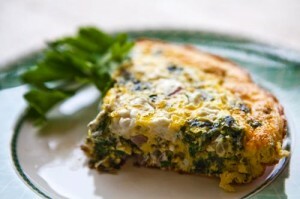 If you really want to impress her with your skills, show her that you can make a frittata. Place chopped tomatoes in a strainer to drain juice. Then toss in the mint and season with a little salt. In a separate bowl, add two eggs and lightly beat them with a fork. Mix the chopped parsley with the scallions, garlic, cumin and 2 tablespoons of mint. Season with a little salt and pepper. Heat 2 tablespoons of olive oil in a pan on medium heat. 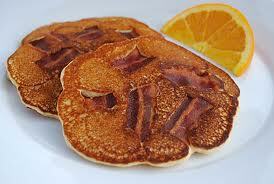 Pour in half of the egg mixture and spread it into a thin pancake. Turn after about 4 minutes, and cook an additional 3 minutes, or until golden brown (dark brown in not your friend). Transfer the frittata to a paper towel. Repeat steps until you have two frittatas. Cut them into wedges, spoon the tomatoes and mint mixture over top, and serve naked if you dare. You need to eat too, and if the other recipes didn’t meet your fancy, this just might do the trick. And keep in mind, pumpkin makes guys into sexual Tyrannosaurus’. In a large bowl, combine flour, sugar, baking powder, salt, and pumpkin pie spice. In a separate bowl whisk milk, eggs, vanilla, and pumpkin puree with 4 tablespoons of melted butter. Slowly stir the wet ingredients into the dry ingredients, and add pecans and bacon. Heat a pan over medium heat with butter. Scoop 1/4-cup of batter onto pan and push to 3-inch rounds. Cook until golden brown. Flip pancake and cook other side. Serve with maple syrup and a smile.